Scientists have observed what Albert Einstein once said was impossible to see — distant starlight bending around a massive star outside our solar system. The discovery with the Hubble Space Telescope is the first direct detection of a key prediction of Einstein's general theory of relativity. Go deeper: When Einstein was developing the general theory of relativity 100 years ago, he predicted that gravity would act like a magnifying lens when a distant star passed by a closer object, brightening and bending the starlight. But "there is no hope of observing this phenomenon directly" because stars are so far apart, he wrote in Science in 1936. What's new: Scientists have been able to detect the bending of light around our own sun. (They first confirmed the effect, for instance, in a 1919 eclipse.) But, until now, they have not been able to observe the phenomenon known as gravitational microlensing directly. In the new study, astronomers were able to pinpoint a moment in time when a white dwarf star and a second star were being observed in such a fashion that lensing could be seen for the first time. They were able to then determine the mass of the white dwarf star – which had only been possible in theory until now. Why it matters: Because the majority of all stars are destined to become white dwarfs at some point, the ability to determine their mass (and, thus, their fate) gives scientists more information on the makeup of our galaxy and allows them to better understand the history and evolution of galaxies like our own. The details: Einstein predicted a ray of light passing near a massive star like a white dwarf to be deflected by twice the amount that would ordinarily be expected based on what we know of gravity. 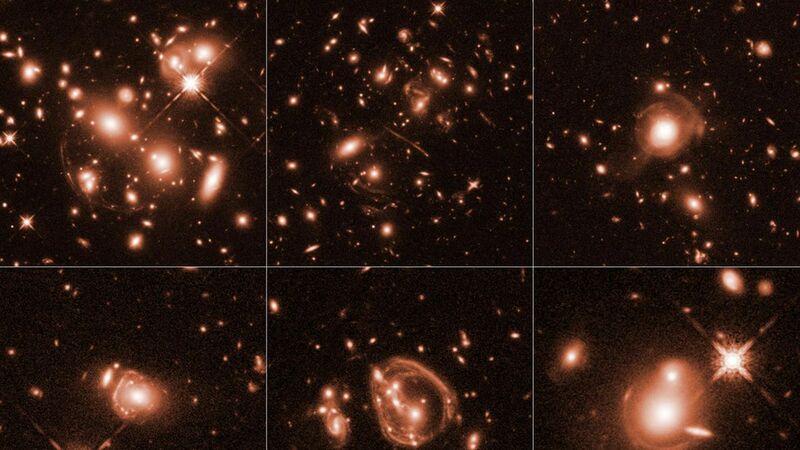 He also posited that, if we were able to observe distant starlight from two stars in the foreground and background, the gravitational microlensing would result in a perfect circle of light – known as an "Einstein ring." Scientists didn't observe a perfect circle in the new study, but in searching through 5,000 stars they found two that were out of alignment – essentially resulting in an asymmetrical Einstein ring. That, in turn, allowed them to measure the mass of the white dwarf star.